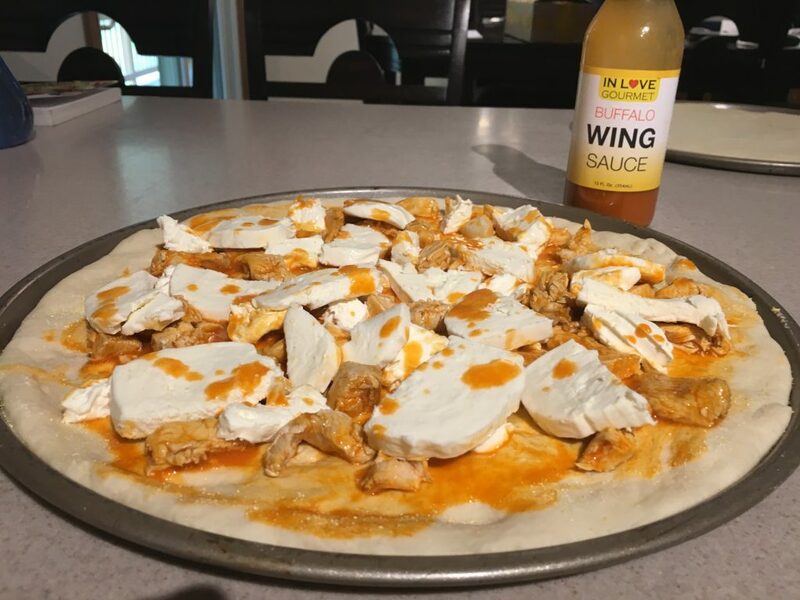 Cut chicken in to bite size pieces. 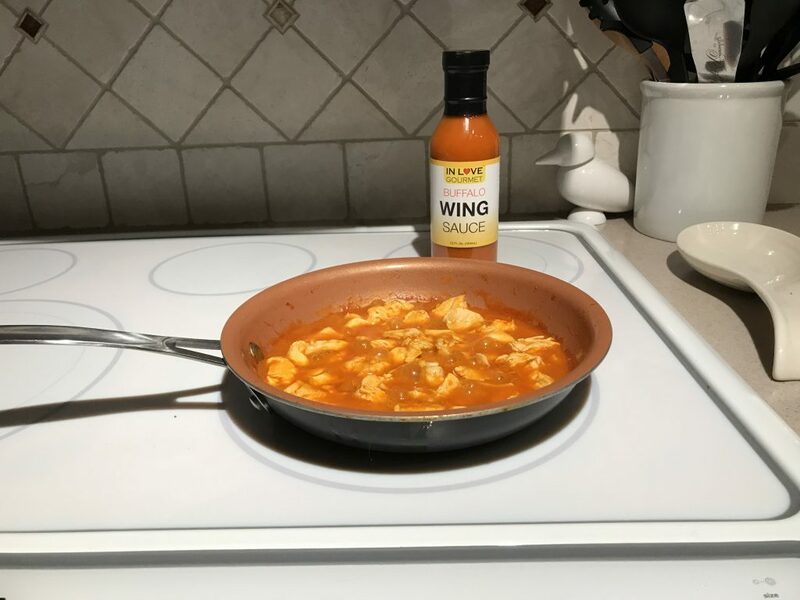 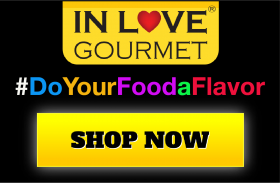 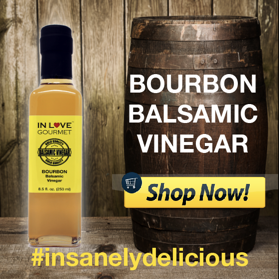 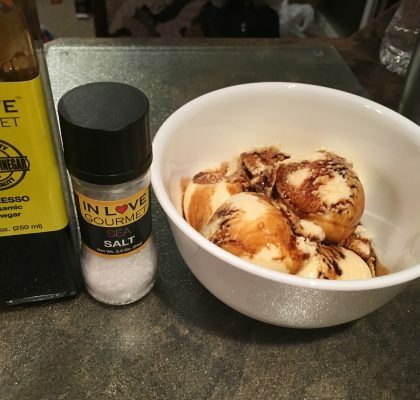 Cook/Sauté chicken in a pan with In Love Gourmet Buffalo Wing Sauce. 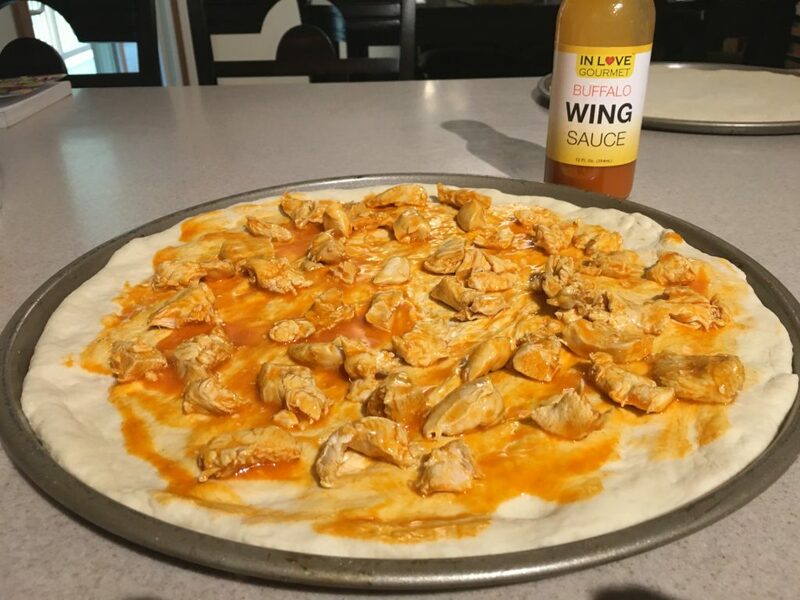 When chicken is done take off heat and cover. 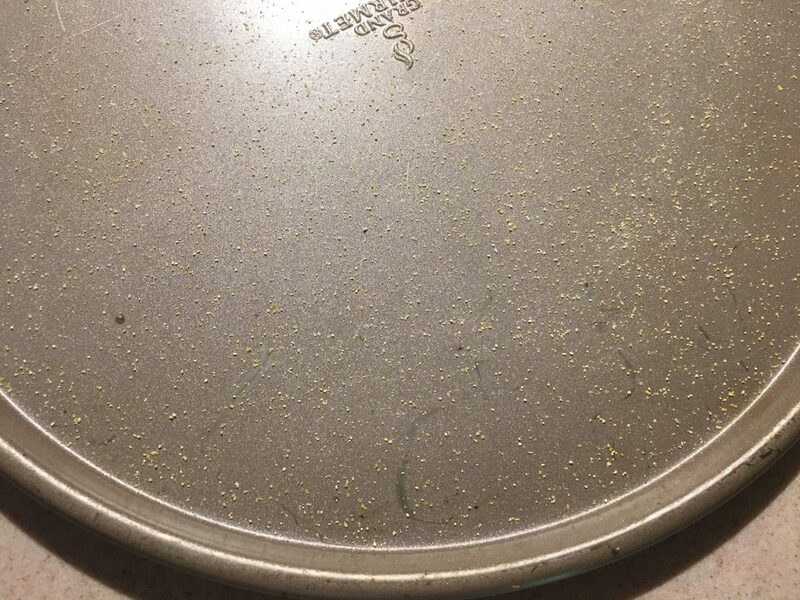 Sprinkle Corn Meal on Pizza Pan. 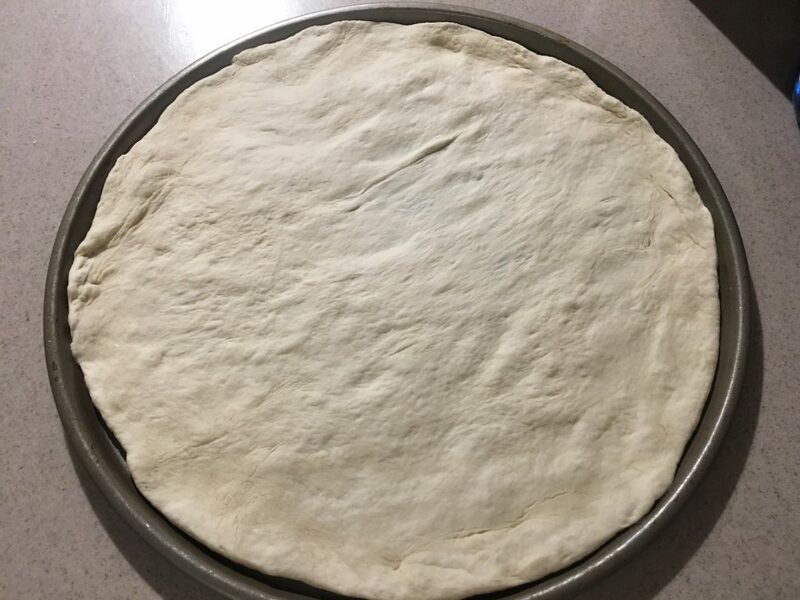 Stretch pizza dough for pan. 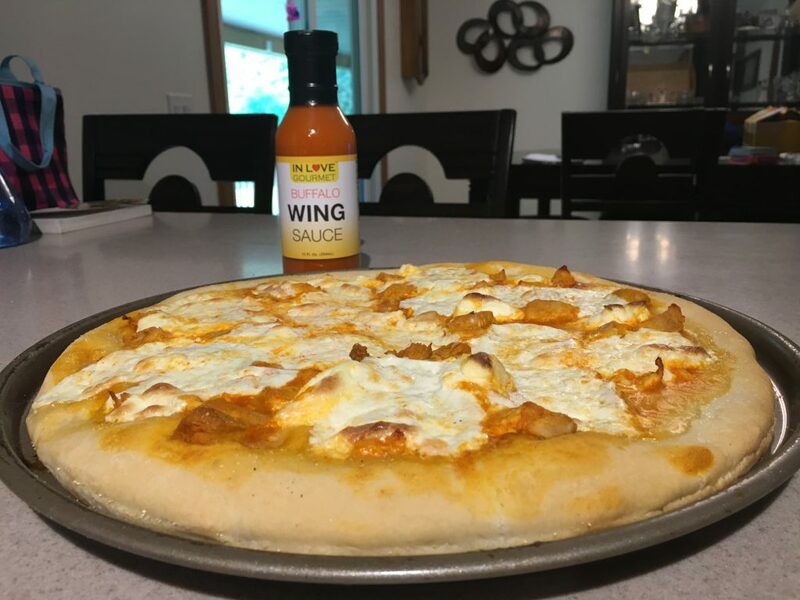 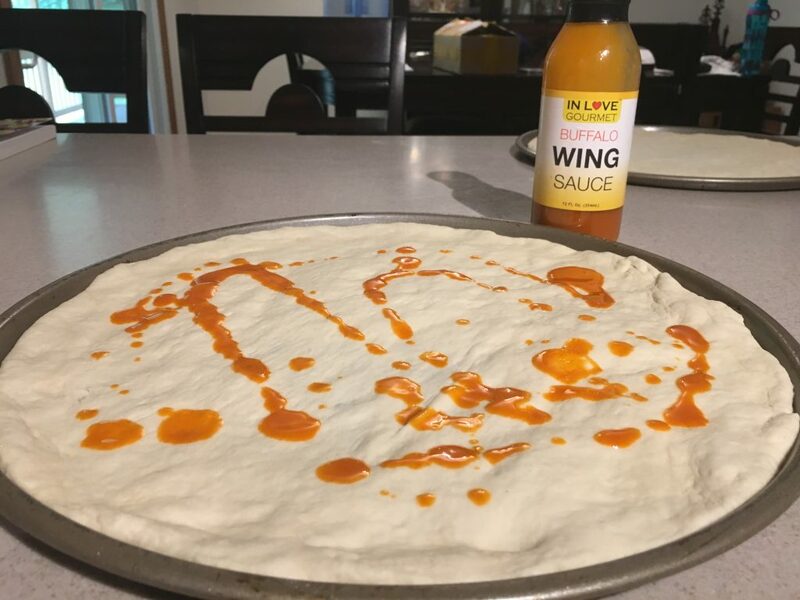 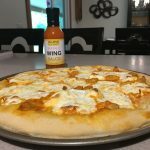 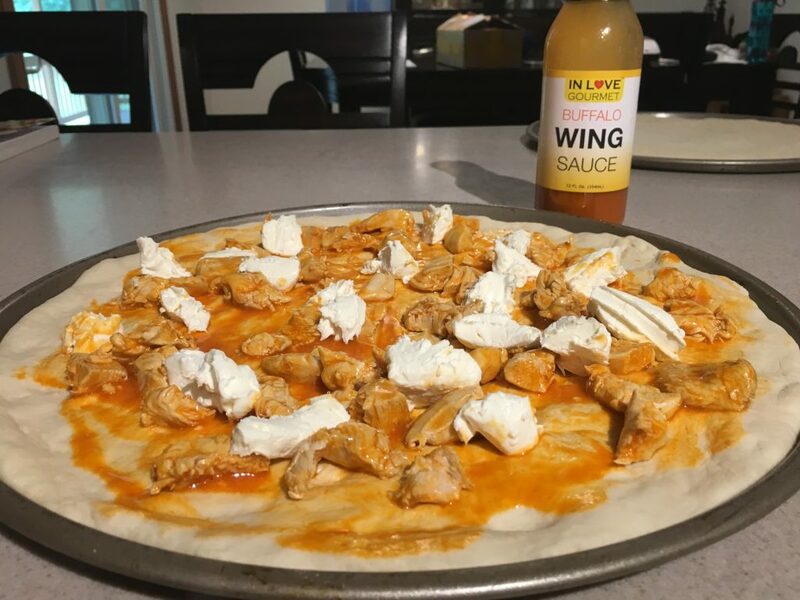 Drizzle thin layer of In Love Gourmet Buffalo Wing Sauce on dough. 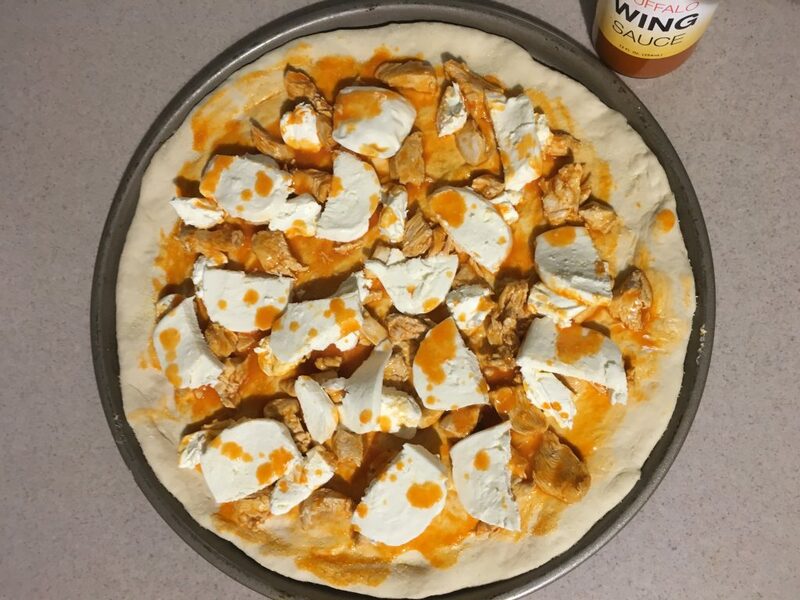 Add cream cheese and mozzarella cheese. 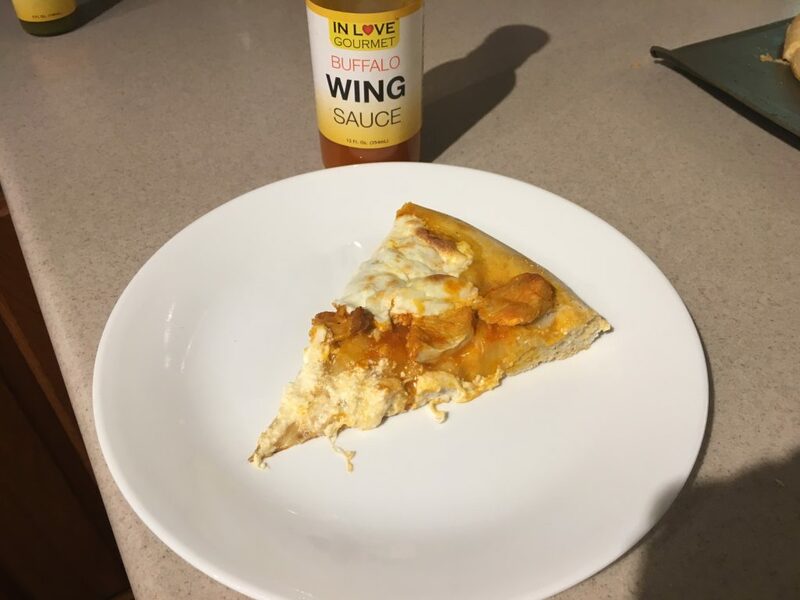 Sprinkle corn meal on crust. 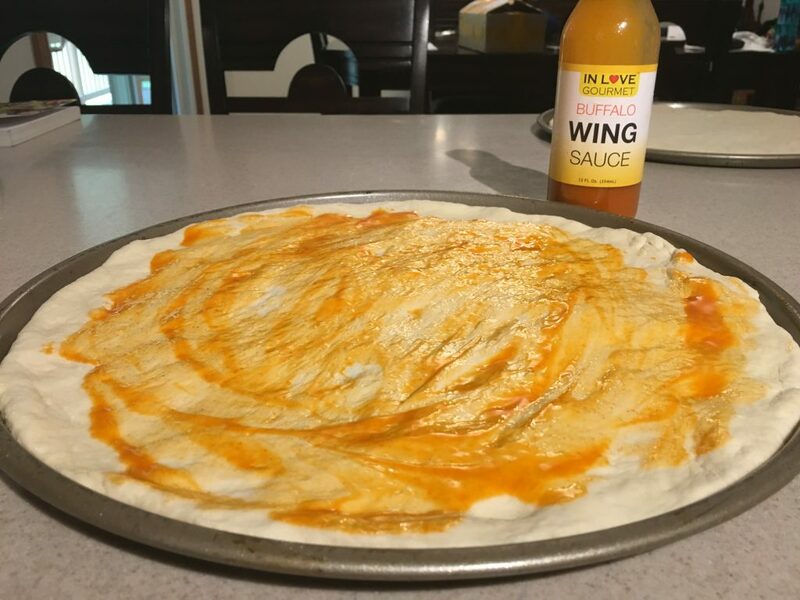 Bake at 450° for 10-12 minutes or until done to your liking. 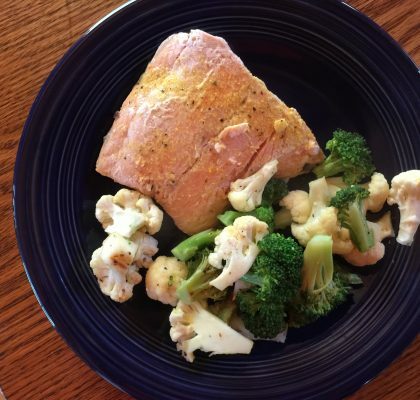 12 Let cool for 5 mintues, cut & serve. 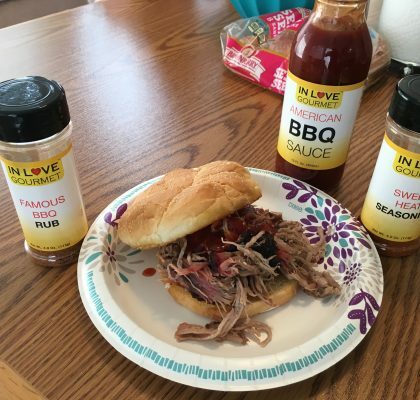 ← Da-BOMB Smoked Pulled Pork Sandwiches with Chipotle Olive Oil & Famous BBQ Rub. 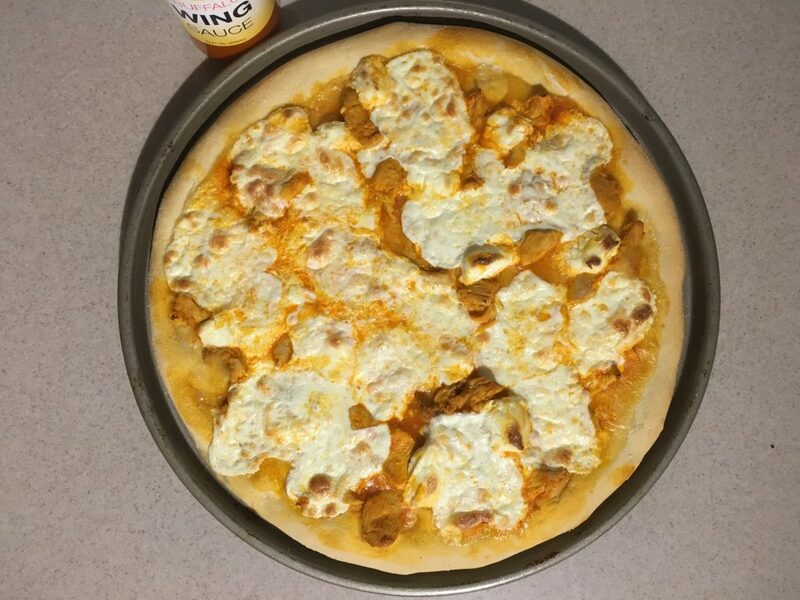 This pizza has the PERFECT BITE… YUMMY!